On 27 November 1936, in a hotel room in San Antonio, Texas, Robert Johnson recorded “They’re Red Hot,” his homage to hot tamales, a popular food in his native Mississippi. This classic blues song included the lyrics, “Hot tamales and they’re red hot / Yes she got ’em for sale” and represents what foodways expert John T. Edge calls a “culinary conundrum.” Edge is referring to the ubiquitous presence of the “hot tamale” in the Delta. Although now a traditional dish in the Delta, as popular as catfish and pork barbecue, the tamale seems to have originated in pre-Columbian Mexico. Mesoamericans used rabbit, boar, and other game animals until Europeans arrived in the New World and beef, goat, and domesticated meats became common ingredients. Then as now, the basic tamale is a cylinder of spiced meat encased in cornmeal, tightly wrapped and steamed inside a cornhusk. Tamales are widely considered a Mexican dish, and in the southwestern states they are a much-anticipated delicacy during the Christmas season. Historians believe that the tamale first became a staple in the kitchens of Mississippi around the turn of the twentieth century, through local cooks’ serendipitous contacts with Mexican Americans, probably farmworkers from Texas who traveled through the Delta during harvesting season. The tamales’ spicy flavors and convenience—they are readily prepared in advance and are extremely portable—recommended them to Delta sharecroppers, who quickly adopted them for quick lunches in the cotton fields. 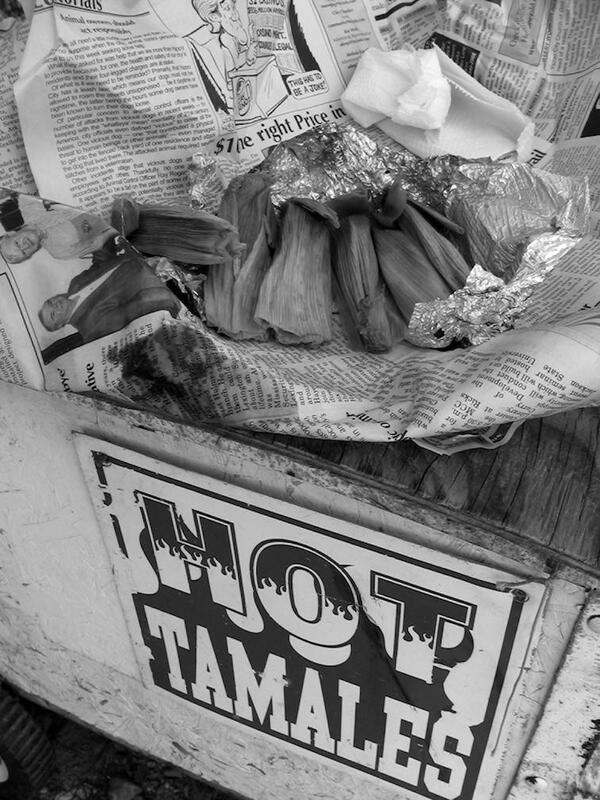 Within a few years of this introduction, tamales had become as popular as hot dogs and were being sold by street vendors throughout the Delta. During the 1930s, Mexican Americans ceased migrating to the Delta in significant numbers, but the tamale remained as their culinary legacy. The Delta tamale, born of the collision of African American and indigenous Mexican cultures, differs in some ways from the variety of tamale familiar in Mexico and the American Southwest. Although recipes differ from place to place, most Delta tamales share certain basic characteristics. For example, they use plain cornmeal, while the Mexican tamale is made with the coarser-ground masa harina. Also, they are typically tied with twine, three to a bundle, before they are steamed. Delta tamales are frequently eaten with saltine crackers, which the diner employs to scoop up the savory filling. Finally, though contemporary Delta tamale fillings of pork, beef, or chicken are still flavored with a spicy mixture of chili powder, cumin, and other typical Mexican spices, they are often spicier than their Mexican counterparts. In 2005 the Southern Foodways Alliance documented a number of sites that together became the Mississippi Delta Hot Tamale Trail. In 2012 Greenville began hosting the annual Delta Hot Tamale Festival.